Fang is currently a M.S. student in the Donald Bren School of Information and Computer Sciences at the University of California, Irvine. She work with Professor James A. Jones. Our research is in the area of software testing, software analysis (run-time and compile-time), and debugging. Before joining UC Irvine, Fang received her Master and Bachelor degrees in Computer Science at Peking University, China. 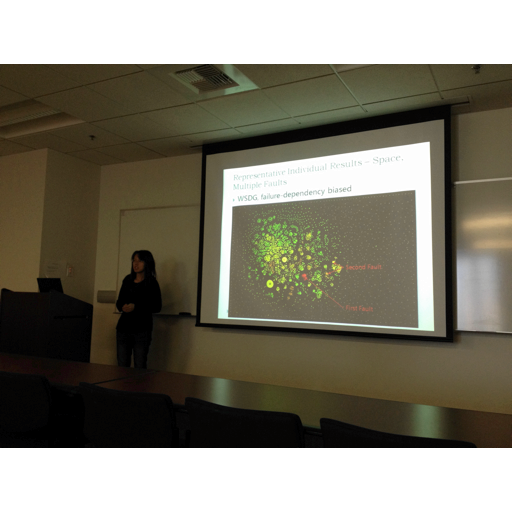 She was with the Key Laboratory of High Confidence Software Technologies and advised by Prof. Qianxiang Wang. Specification and Runtime Verification of API Constraints on Interacting Objects. Fang Deng, Haiwen Liu, Jin Shao, Qianxiang Wang. Proceeding of the 23rd International Conference on Software Engineering and Knowledge Engineering (SEKE'11), Miami, Florida, USA, July 2011, to appear. Most applications need to invoke some Application Programming Interfaces (APIs), e.g. JDK (Java Development Kit) API. When invoking those APIs, applications must follow some API constraints. Violation of these constraints will lead to some severe program defects. To detect this kind of defects, lots of static and dynamic approaches are explored, using formally described API constraints. While most existing approaches explore API constraints on a single object, this paper focuses on API constraints on interacting objects (COIOs). We proposed a novel specification language LACOIO (Language for API Constraint on Interacting Objects) which can cover all state-of-the-art reported API COIOs. We implemented a LACOIO compiler which can automatically generate monitoring code for runtime verification from API constraints that are specified using LACOIO and implemented the runtime verification framework. We evaluated the proposed approach by comparing it with Tracematch — a popular constraint specification language. Lazy Runtime Verification for Constraints on Interactive Objects. Jin Shao, Fang Deng, Haiwen Liu, Qianxiang Wang, Hong Mei. Proceeding of the 17th Asia Pacific Software Engineering Conference(APSEC'10), Sydney, Australia, November 2010, pp. 242–251. Application Programming Interface (API) constraints on objects are rules that API client code must follow in order to get expected results from these objects. Runtime verification, an important approach for detecting API constraint violations, usually suffers from high runtime overhead. 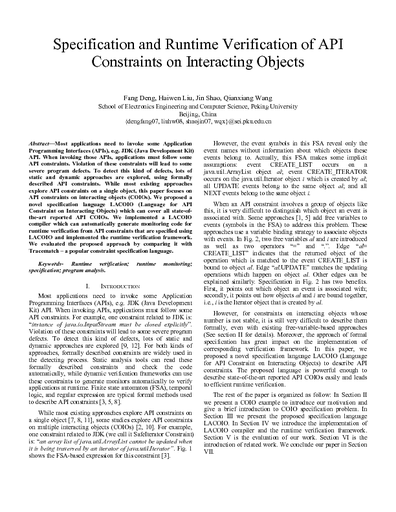 This paper focuses on temporal API constraints on multiple interacting objects. Violation detection of such constraints is more challenging than violation detection of single object constraints, and may induce higher runtime overhead. To reduce the runtime overhead, without compromising the effectiveness of verification, we propose a Lazy Verification Approach (LAVA), which enables verification lazily. Verification probes in LAVA are loaded automatically during the program execution as late as possible. And only probes on objects that have been bound by a binding point (a special method invocation that binds involved objects together) are enabled. Based on these optimization strategies, we implemented an efficient and flexible runtime verification framework. 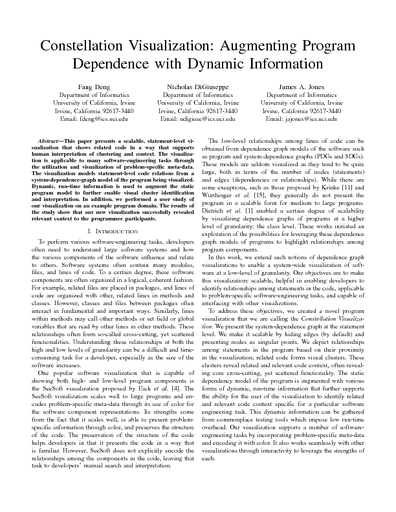 We show the effectiveness of our approach by applying it to verify five constraints in the DaCapo  benchmark. The empirical results show that our approach can reduce the number of method invocation events sent by probes, which is the main cause of runtime overhead, by 74% to 100% on average, and bring about an optimization ratio of 44.1% to 89.9% on runtime overhead. Qianxiang Wang, Jin Shao, Fang Deng, Yonggang Liu, Min Li, Hong Mei, Jun Han. 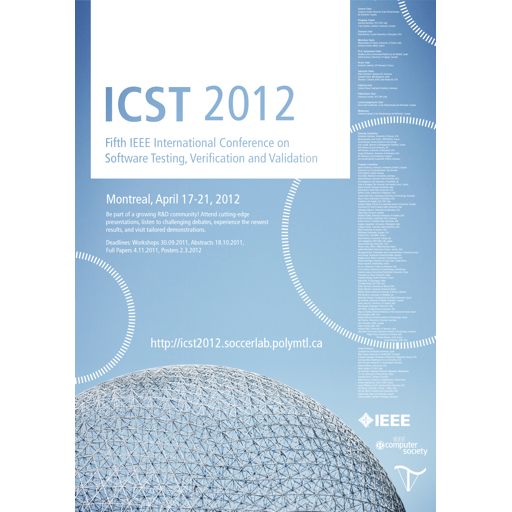 IEEE Transactions on Services Computing (TSC), Volume 2, Number 4, October 2009, pp. 338–351. Web service technology aims to enable the interoperation of heterogeneous systems and the reuse of distributed functions in an unprecedented scale and has achieved significant success. There are still, however, challenges to realize its full potential. One of these challenges is to ensure the behavior of Web services consistent with their requirements. Monitoring events that are relevant to Web service requirements is, thus, an important technique. 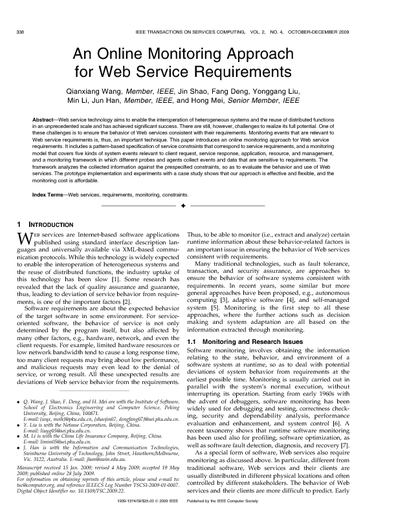 This paper introduces an online monitoring approach for Web service requirements. It includes a pattern-based specification of service constraints that correspond to service requirements, and a monitoring model that covers five kinds of system events relevant to client request, service response, application, resource, and management, and a monitoring framework in which different probes and agents collect events and data that are sensitive to requirements. The framework analyzes the collected information against the prespecified constraints, so as to evaluate the behavior and use of Web services. The prototype implementation and experiments with a case study shows that our approach is effective and flexible, and the monitoring cost is affordable. Fang Deng, Qianxiang Wang, Jin Shao. Proceedings of the 32nd IEEE International Computer Software and Applications Conference (COMPSAC'09), Seattle, Washington, USA, July 2009, pp. 222–227. As an effective approach to maintain software system without interrupting the service, online migration has been applied for many goals, e.g. achieving a higher system performance, tolerating faults, and upgrading systems. 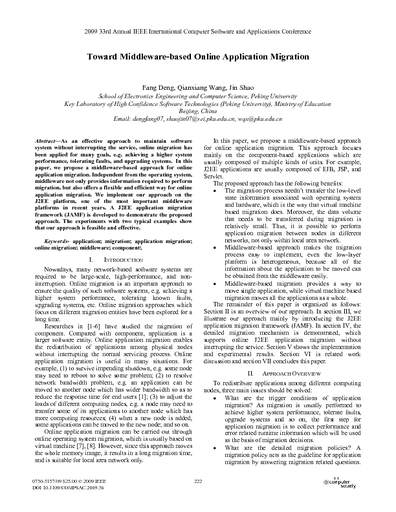 In this paper, we propose a middleware-based approach for online application migration. Independent from the operating system, middleware not only provides information required to perform migration, but also offers a flexible and efficient way for online application migration. We implement our approach on the J2EE platform, one of the most important middleware platforms in recent years. A J2EE ap plication migration framework (JAMF) is developed to demonstrate the proposed approach. The experiments with two typical examples show that our approach is feasible and effective. 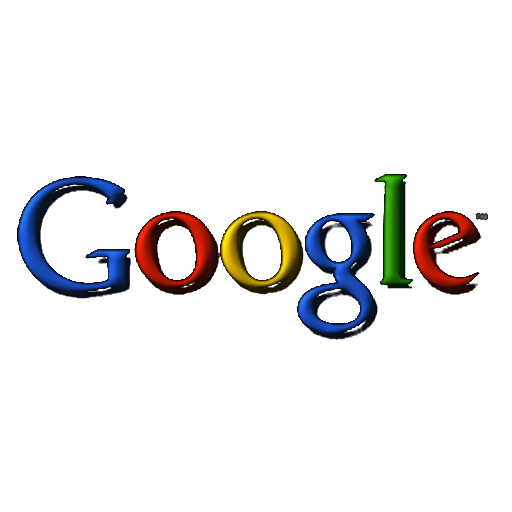 A Model-Driven Software Monitoring and Analyzing Framework. Jin Shao, Fang Deng, Qianxiang Wang. Proceeding of the 7th National Software and Application Conference (NASAC'08), Guangzhou, China, November 2008, to appear. The degree to which internal states and behavior of software systems conform to their requirement is a key issue to evaluate the quality of software system. 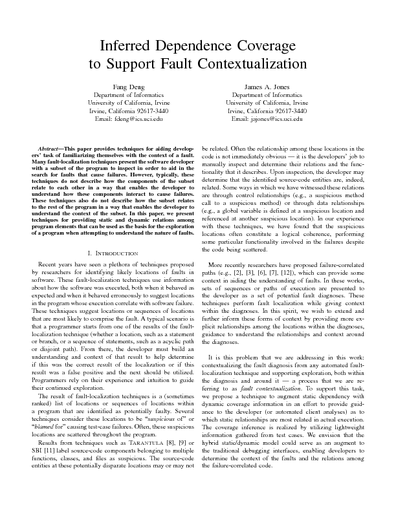 This paper proposed an approach which utilizes model-based software monitoring techniques to provide assurance to quality of software. The basic idea is to discover errors that occur during the executing process of software in order to rapidly adjust the system and guarantee the quality of software services. 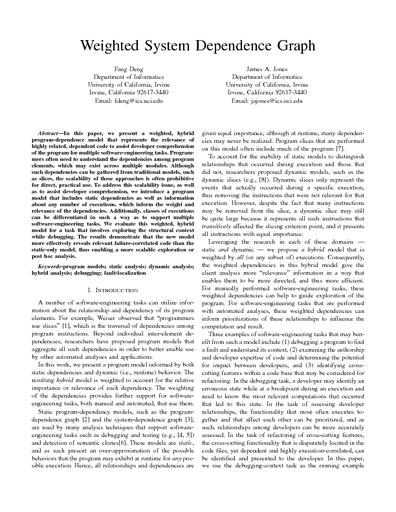 Based on the monitoring model which contains constraint descriptions and a series of transformation rules, the approach proposed in this paper transforms a monitoring model into corresponding bunch of code semi-automatically or automatically. In addition, these codes will be deployed to the monitored system in a proper mechanism, so as to automate the process that enables a software system to be with monitoring capability. 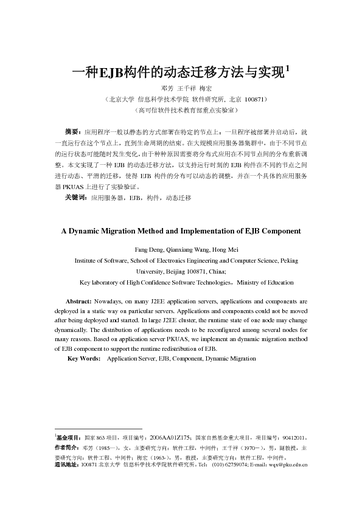 A Dynamic Migration Method and Implementation of EJB Component. Fang Deng, Qianxiang Wang, Hong Mei. Proceeding of the 6th National Software and Application Conference (NASAC'07), Xi’an, China, September 2007, to appear. On many J2EE application servers, applications and components are deployed in a static way on particular servers. Applications and components could not be moved after being deployed and started. In a large J2EE cluster, the runtime state of one node changes dynamically. The distribution of applications needs to be reconfigured among several nodes for many reasons. Based on application server PKUAS, we implement an dynamic migration method of EJB component to support the runtime redistribution of EJB.